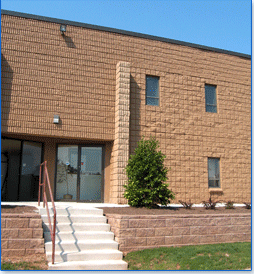 S. C. Engineering Co. Inc. was originally incorporated as S. C. Machining Company in 1980. Our original specialization was the redesign and manufacture of component spare parts for hard to find/obsolete equipment and current equipment components at considerable savings and shorter delivery than that available from the Original Equipment Manufacturer. As our reputation for service and dependability grew, so did our capabilities. We expanded into component parts repair for larger rotating equipment for Paper Mills, Power Generation Plants and Steel mills. In 1983 we established our current location to service our customer base in the New York/New Jersey area and our customers in Pennsylvania, especially to accommodate the growing need for Steel Mill Pump repairs. Over the years we have been closely involved with voyage repairs for major Steam Ship companies and Barge Fleets; turnaround repairs for Petroleum Refineries and Tank Farms; scheduled and unscheduled outage repairs for Water Treatment and Water Distribution facilities. The company principals, Tom Arias and Howard Lacks, have over 60 years combined experience in the marine and industrial manufacturing and repair business. Both have worked for major Original Equipment Manufacturers (Goulds Pumps and Johnston Pump) in addition to independent Shipyards and Repair Facilities. Our lead tradesmen have minimum experience of 20 years in their respective fields. Copyright © 2007 SC Engineering. All Rights Reserved.